For those who don’t know, I had my undergraduate studies at a mountainous city called Chongqing. It is one of the municipalities city in China (Beijing, Shanghai, Tianjin, Chongqing), meaning the city is directly controlled by the Chinese government. Metro Chongqing has a large population of 18.4 million people. 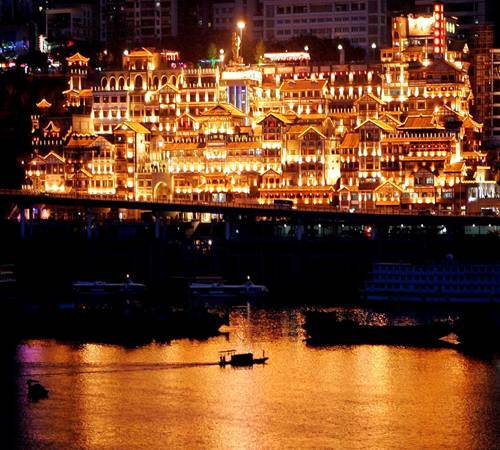 [i] Chongqing is located at the Midwest of China, four major parallel mountains across the whole province, and 2 major rivers (Yangtze River and Jialing River) run through the area. Above is just a little background of Chongqing, the city’s topography is a typical mountainous city in China. Like other metropolitans, Chongqing has many modern skyscraper, and modern public transportation is convenient to get around each of the districts. Monorail is one of the most used way to get around in the city. 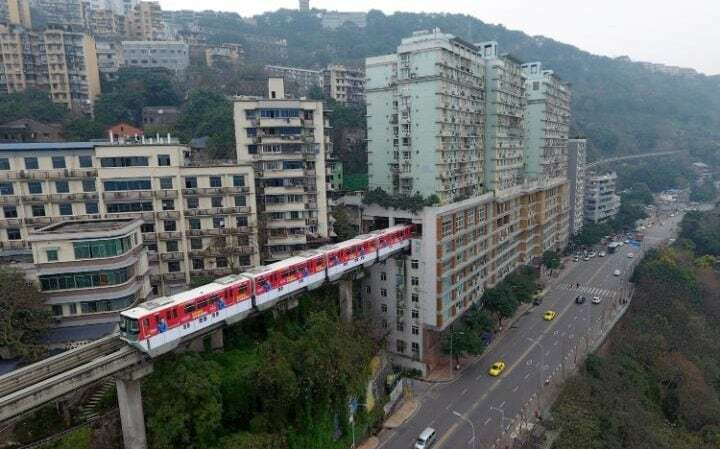 Remember that the city is built on the mountainous topography, which means the rail can’t always run underground, it kind of look like the trains run from tunnel to tunnel. I would like to share some interesting stories when I lived in this city. Underground construction going on everywhere. Our campus in located in the middle of downtown. Same as regular campus, we have football field, library and classroom buildings. Regardless what’s on the surface, the underground level is all retails stores. Basically, the whole underground of the campus was under construction. The first year when I was there, my classmates and I could hear the “bomb” sounds when they were building the underground railway. The only flat area in this city is used for the airport. 3. The only flat area in this city is used for the airport. 4. When you get off the monorail, you will be surprised to find that you are at the 8th floor. 5. The most astonishing fact is that the rail goes through core of residential flats in the middle. The city still charming to me, it is so special. I love Chongqing, includes the scenery, the people and the Sichuan cuisine.